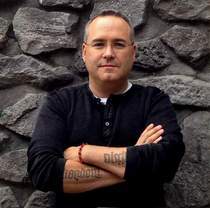 I have read a few books by Mike Aquilina and have a few in my two be read pile. This one got bumped to the top of the list when my oldest decided that she wanted to become an alter server. I wanted a quick refresher in case she has questions as she did her three weeks of alter serving training and started to help serve at mass. 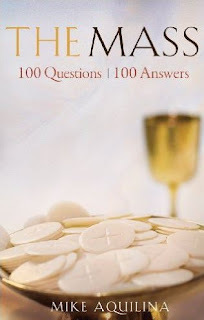 To be honest I was unaware of this book by Mike Aquilina, until an email from The Dynamic Catholic Institute promoted it. It was perfect timing. 1. Why do we call our worship "the Mass"? 4. Why do we need this ritual? Can't I worship God just as well using my own words? 5. Why does the Mass refer to Jesus as a "victim" and a "lamb"? 9. What is the Eucharist? 10. What is the real presence? 11. If God is everywhere, what's special about the real presence in the Eucharist? 12. Why do Catholics believe in the real presence, instead of just saying that the bread and wine are symbols? 14. When does transubstantiation happen? 15. Why does the priest mix water with the wine? 16. If the Body of Christ is in every Catholic church, does that mean Jesus has lots of bodies all over the world? 17. How can we teach children about the real presence? 18. Where does the Mass appear in the Bible? 19. How can the Mass appear in the Old Testament if Jesus instituted it in the New? 20. What are the Jewish roots of the Christian ritual? 21. Where does the Mass appear in the New Testament? 22. How did Jesus prepare his followers for the institution of the Mass? 23. Why do the accounts of the first Mass differ from book to book? 24. How do we know that Jesus intended the Church to continue offering the Mass? 25. Did the early Church-the persecuted, "underground" Church-celebrate the Mass? If so, how? 26. Who may offer the Mass? 27. How did Jesus give our priests the power to change bread and wine into his body and blood? 28. What is a pontifical Mass? 29. Is Mass with the pope or bishop "worth more" than Mass in my parish? 30. Does there have to be a congregation for there to be a Mass? 31. What are the vestments the priest wears? 32. Why does the priest wear vestments? 33. What do the colors of the vestments mean? 34. How often must I go to Mass? 35. Why does the Church require us to go to Mass on Sunday? 36. Can I satisfy the Sunday obligation by going to Vespers instead of Mass? 37. What does it mean to offer the Mass for a particular "intention"? 38. Why do Catholics offer Masses for the dead? 39. How does the Mass relate to the other sacraments? 41. 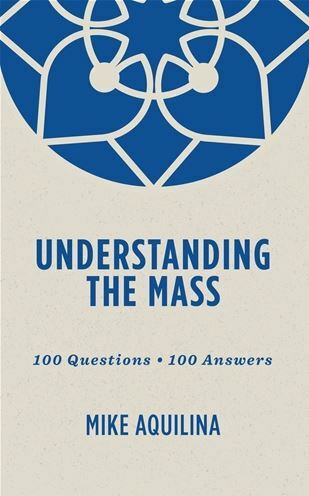 How is the Mass like heaven? 42. Why do some Catholic churches celebrate the Eucharist in ways that are far different from the way I know? 43. What is the Latin Mass? 44. What is the Tridentine Mass or Extraordinary Form? 45. Why do some Catholics like the Latin Mass so much? 46. Why is Latin still the official language of the Mass in the Catholic Church? 47. Do non-Catholic churches also celebrate the Mass? 48. Why does the Church use unleavened bread? 49. May the priest use other types of bread? 50. May a priest use gluten-free wheat bread for the sake of people who have celiac disease? 51. What if my body can't take any wheat at all? 52. What are the vessels used in the Mass? 53. What's special about altar candles? 55. What's hidden in the compartment in or under many altars? 56. Why does the Church honor the relics of the saints? 57. Who may receive Holy Communion? 58. How should I prepare to go to Mass and receive Communion? 59. What is the Communion fast? 60. What if I forget and break the Communion fast? 61. What happens if I receive Communion in a state of mortal sin? 62. How should I receive Communion? 63. Why do some people receive Communion on the hand and others on the tongue? 64. Is it better to receive Communion under both species? Do I receive "more" if I do? 66. Can the Church deny Communion to particular individuals? If so, when and how? 67. Why are certain politicians allowed to take Communion even when they vote against Church teachings? 69. How often may I go to Communion? 70. How often must I go to Communion? 71. What should I do after taking Communion? 72. What should I do if I attend Mass but cannot go, or choose not to go, to Communion? 73. Are Catholics allowed to take Communion in a non-Catholic church? 74. Are non-Catholics allowed to take Communion in a Catholic church? 75. How is the Mass divided? 76. Why does the Mass begin with the Sign of the Cross? 77. What is the Penitential Rite? 78. Why do we pray to Mary and the saints? 79. What is the Gloria? 80. How does the Church pick the Bible readings for each Mass? 81. What is the Alleluia? 82. What is the gesture people make before the reading of the Gospel? 83. What is a sermon supposed to be? 84. What is the Creed? 85. What is the Universal Prayer? 86. Why does the Church collect money at Mass? 87. What is the Offertory? 88. What is the Eucharistic Prayer? 89. 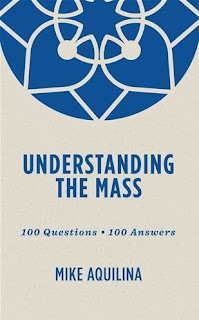 What is the Canon of the Mass? 90. What is the Preface? 91. What is the "Holy, Holy, Holy"? 92. What is the institution narrative? 93. Why does the Church call upon the Holy Spirit at this point in the Mass? 94. What is the "mystery of faith"? 95. What is the Communion Rite? 96. Why do we pray the Lord's Prayer at this part of the Mass? 97. What is the "Lord, I am not worthy" prayer? 98. What is Holy Communion? 99. Why does the Mass end so abruptly after Communion? 100. What should I do after Mass? To be honest this is not a hard read, but it is a very informative read. Even as someone who has attended mass most of my life, and having a religious studies degree with a focus on the Raman Catholic Faith I still got a lot out of this book. It was hard to put down once I got going. Mike writes in an easy engaging style. Some authors especially theologians are a struggle to read, but Mike's writing especially in this book is not that way at all. I read this book in three short sittings, and found it very useful. I can highly recommend it even for seasoned Catholics. There is a lot of benefit to be had from reading this little volume.